2000 Civic Si, can the Evaporative Emission Purge Control Canister and associated control valves, filters, and vacuum lines be removed as part of the emissions system? It seems like the discussion I had seen previously debated whether it was part of the fuel system or emission system. 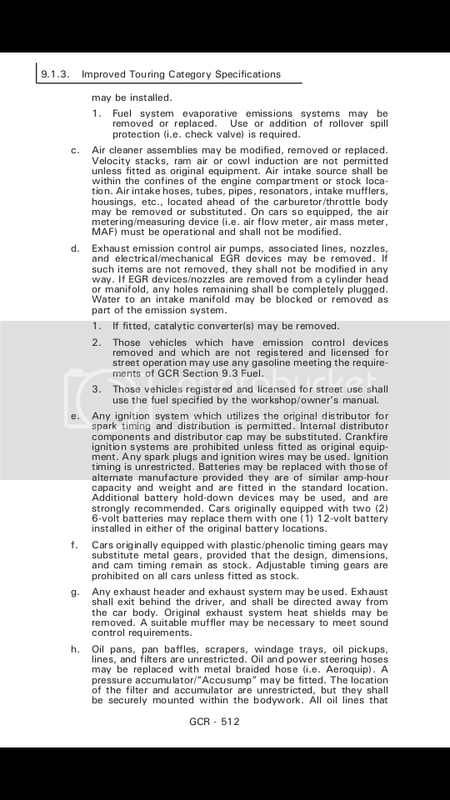 I read this stuff (fuel system evaporative and EGR emission stuff) as a no questions asked "remove it" . Fuel Safe makes a nice little rollover valve for the fuel tank vent that several of us have used...tom91ita just handed me one and said "use this". Thanks. When I read the rules I come to the same conclusion. I just seem to remember some discussion about it and couldn't find the thread. Thanks again. It will be going away in the near future, freeing up space and making things much cleaner looking. I know its PRETTY COMMON practice Among Honda guys to remove it.....and pretty spirit -of-the-rules.